The Pained Ink Slayer: Fibromyalgia is complicated, but are there possible complications? Fibromyalgia is complicated, but are there possible complications? The greatest risk for complications in fibromyalgia is misdiagnosis, not identifying and treating the comorbid conditions in fibromyalgia, or drug interactions that can occur with other medications, and over the counter drugs, herbs and supplements. 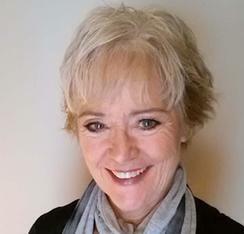 The many comorbid conditions with FM have specific treatments. For instance, there is a higher incidence of hypothyroidism, and the medications used to treat FM will not treat hypothyroidism, or medications used to treat and IBS attack or medications to treat interstitial cystitis or Leaky Gut Syndrome might interfere with or exacerbate side effects of other medications, and this is just an example. MTP = Myofascial trigger point, a knotted up piece of muscle fiber that is easily felt unless beneath bone or other muscle. It shortens the muscle involved causing pain and dysfunction and radiates pain and other symptoms including neuropathies in a specific pattern between patients. The coexistence of chronic myofascial pain from myofascial trigger points (MTPs) occur frequently, according the research. The treatments for MTPs require hands on therapy, and when not considered, the pain can be a great complication in the life of a patient with FM. Not only are they a great source of our pain, MTPs are peripheral pain generators that keep the FM brain hyper sensitized. Talk with your doctor about known comorbid and coexisting conditions. There are many helpful tools to help you understand the many conditions in chapter two of our book, “Communicating Your Healthcare Needs,” including Relating Your Symptoms and Health History, Identifying Aggravating and Alleviating Factors, Coexisting Conditions, Communicating with Your Physician and Other Health Care Providers, a Summary Exercise: Clear Expressions , Medication Log, Symptom Inventory Sheet, Anatomical Diagram of Pain, and Health History Log. This blog is based on my original answer to “What are possible complications for fibromyalgia?” as fibromyalgia expert at ShareCare. C Cooper, RN and J Miller, PhD. 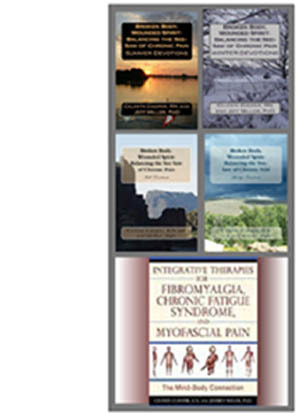 (2010) Integrative Therapies for Fibromyalgia, Chronic Fatigue Syndrome, and Myofascial Pain: The Mind-Body Connection. Vermont: Healing Arts Press. Hubbard JE. Myofascial Trigger Points: What Physicians Should Know about these Neurological Imitators Minn Med. 2010 May;93(5):42-5. When porcine was combined with the desiccated thyroid pills...the benefits are unstoppable. So much energy now!! !Highly recommend!! !